Looks like there’s some choice Concorde jet memorabilia on eBay right now, including a few coffee cups and plates from the galley. Also: a Rolls-Royce Olympus Turbo-Jet 593-610 engine, for about a million bucks. on an immobile memorial to one of mankind’s greatest achievements in propulsion, don’t let me stand in your way. The listing promises a “certificate of authenticity,” anyway. The listing also says “it must only be used for static display,” but come on. If you’re eccentric enough to drop this kind of money on a jet engine, you’re not going to let some scribbling from the seller stop you from bringing it back to life and attaching it to something. Anything! I’m serious about wanting to watch those YouTube videos. 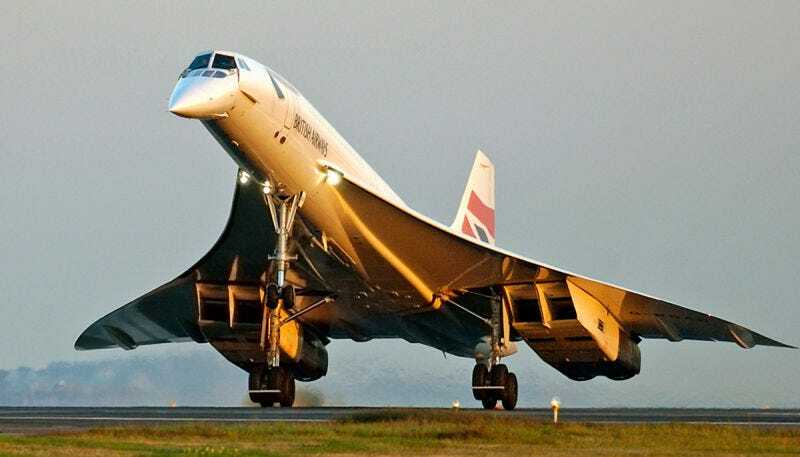 If you want to know more about the history and science of this mighty Rolls-Royce Turbo-Jet, which is about 18 feet long and five feet high, Heritage Concorde is a great resource. Heritage Concorde also explains that the aircraft used four of these engines, which you might have already known if you’ve ever seen a picture of it, and of course the plane could scream across the sky at more than 1,300 mph; over Mach 2. I couldn’t figure out what one of these engines would have cost when it was new, since they weren’t exactly being sold off the shelf to consumers, but the list price on a Concorde if you wanted one in 1975 was $33,800,000, almost $159,000,000 in 2019 dollars. $975,000 for an important piece of one seems like a bargain, then.